If you need a capable minivan to help you wrangle the kids and dominate your day, look no further than the amazing Chrysler Pacifica from Palestine CJDRF. You may recall the former life of the Pacifica as a smooth, stylish, and family-friendly SUV. Now, it’s been reborn to its naturally intended purpose – as an all-around, life coordinating, and road trip champion minivan. Yep, that’s right. This is one minivan you’ll be clamoring to hop inside. Check it out with the dedicated team at Palestine Chrysler Jeep Dodge RAM FIAT today. Being a parent doesn’t have to be quite as challenging as it used to be with the help of the incredible new Chrysler Pacifica. From the built-in Stow n’ Vac to clean up those snack spills to the class-exclusive Easy Tilt Seating, the new Pacifica has a whirlwind of convenient features that will make your days of loading up and getting out and about in the Jacksonville, TX area an absolute breeze. With seating for up to eight and five of them being LATCH capable to anchor car seats, no matter the size or shape of your family Pacifica’s got you covered both inside and out. This stylish and versatile minivan redefines the perception of what a minivan is and can be with its sculpted exterior profile, athletic stance, and flashy aluminum wheels. This striking new look will have you feeling confident as you traverse from work to the grocery store to the soccer field, and is certain to impress all your friends and family with the hands-free sliding doors and hands-free power liftgate when it’s time to load up. The tri-pane panoramic sunroof reinvigorates the interior to offer up a bountiful amount of natural light or stargazing unless the kids aren’t too busy enjoying the Uconnect Theater with dual HD touchscreens and Blu-ray player to notice it. There are hundreds of reasons to love this outstanding new minivan, and we’re certain you will. 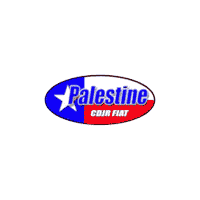 Come into Palestine CDJRF and let us show you all that this magnificent vehicle has to offer you and your family. Bring out the whole family and let them fall for the new Pacifica like we know they will. Our team of Chrysler specialists are excited to give you the best options in transforming your daily grind into an absolute joyride; mile after mile, so visit us today and let us help you take home your new Chrysler Pacifica today.